Local and Regional Pipe Clubs are a great way to get to know fellow pipe smokers, pick up some tips and tricks, and make a few friends along the way. Scan through this list under your state to see if there are any Pipe Clubs near you! If your Pipe Club is not listed, please send me your information so that I can include it in the Directory. Tobacco pipe club for Los Angeles and SoCal area. We are San Diego pipe smokers, enjoying good company, good conversation and a good smoke. We promote and encourage the art, the joys and just the fun of pipe smoking. This is a club for locals who are interested and passionate about tobacco pipes and pipe tobaccos. Mission: To bring together pipe and pipe tobacco enthusiasts of all ages from the Pinellas county area. The Club started in 1993 with a small group of pipe smokers meeting at local lounges and restaurants for companionship and trading information and ideas about the hobby of pipe collecting. Over time we established meeting venues where we could display our pipes and other smoking items and buy, sell and swap from each other. Oh, and smoke together for an evening. Our first "Chicago Show" was held in 1996 and has steadily grown to one of the largest hobby shows of its type in the world. 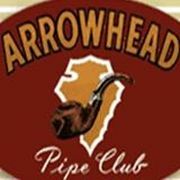 The Arrowhead Pipe Club meets the third Tuesday of each month at Paul's Pipe Shop in Flint, Mi. Arrowhead Pipe Club is a group of people who enjoy and promote the art of pipe smoking and collecting. 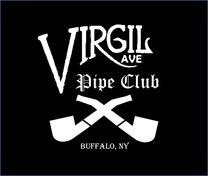 Join us at Virgil Ave. Tobacconist on the last Monday of every month! We meet the second Tuesday of each month at the Sawmill Tap Room on Lead Mine Rd. in Raleigh. Please join us. To our knowledge, the Toledo area does not have a pipe club and we are about to rectify that situation. Our plan is to have the first meeting at Port Royal Cigar on Thursday September 6, 2018 at 6:30 p.m. and then we plan on continuing on the 1st Thursday of each month from there on out. A motley group of pipe smokers, pipe enthusiasts, pipe collectors, and pipe makers spreading the joy and camaraderie of the great tobacco leaf one bowl at a time. 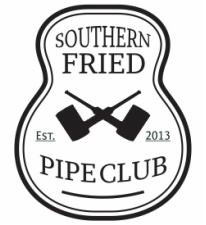 A Nashville-based pipe club, we will host monthly meetups and tons more. Do you smoke a pipe and live in Austin and surrounding areas? We meet the 2nd and 4th Thursday's of the Month. Meet Ups: The first Friday of each month @ 6:00 PM. Come on out and enjoy a bowl of fine quality tobacco with friends. ​Check the calendar on our site for updates or changes. We're a group of DFW area pipe smokers that get together to share our love of pipes and pipe tobacco, and to spread pipe culture in a cigar-dominated city. On the Kitsap Peninsula and smoke a tobacco pipe? We meet every 4th Saturday of the month. Email for details and location info. The IAPSC is dedicated to the promotion of pipe smoking, fellowship and friendship. We believe that all have the right to smoke and the duty to respect the rights of our fellow human beings. 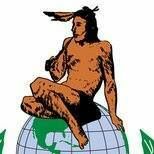 Founded in 1993 as the Ohio Pipe Collectors, with the name changed to North American Society of Pipe Collectors in 1997. Our newsletter, The Pipe Collector, is member-driven and member-sustained, with all article submissions written by members, ranging from philosophical/metaphysical wanderings to tobacco reviews, to pipe-making and refurbishing, and pretty much anything having to do with the art of pipes and pipe collecting.